Looks good enough to eat, and you can. But is it what it appears to be? 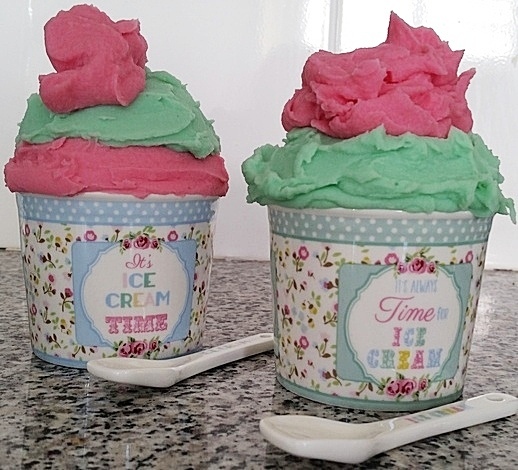 I did a styling job for a magazine and was tasked with making faux ice-cream. Faux because we couldn’t risk real ice cream melting. Also the real thing doesn’t always work in shoots. They need to be enhanced. But those are other insider secrets I won’t be sharing right now. The instructions are on the packet so follow that. Be sure not to add too much water making the mixture runny. 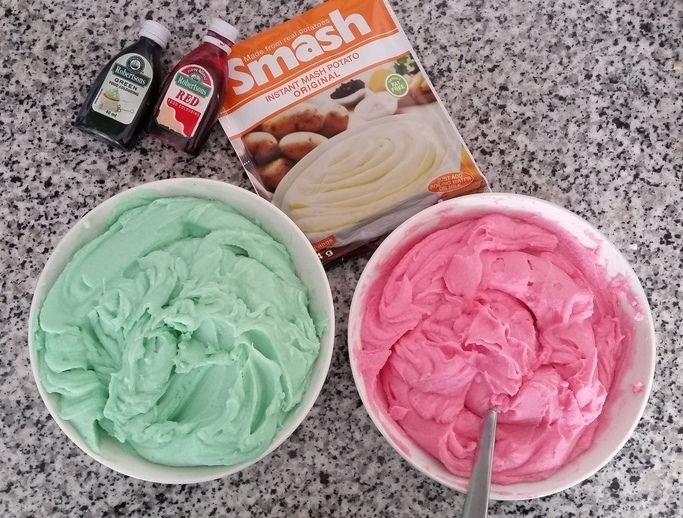 Add a few drops of food colouring until you have the desired colour. Let it cool and voila. Use an ice cream scoop to get the look of a dollop/ scoop of ice cream.